When you change your thinking and your mindset you also change your success for the better. In order for there to be professional growth, you also need personal growth. Before you can grow your dental practice, and get more patients you have to expand your thinking. 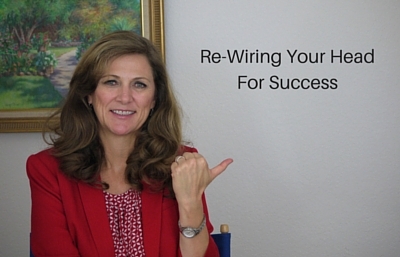 You have to rewire your head for success by changing your mindset. It’s very easy to get stuck in a rut of your internal dialogue of ‘well I’ve always done it that way, so that’s how I do it.’ We are all guilty of slipping in there. The real challenge is to get out of the rut as soon as you can. You have to step back and not allow yourself to think this way. If you expect to act or think a certain way, then you will. I want you to re-read that quote and let it sink in a little. If you have limited thinking, you will get limited results. Change is as easy as flipping a light switch. You don’t need anyone’s permission to make the change. Just tell yourself you’re going to do it and take the leap. In this video I go over the major hang up that is the biggest factor for people in making the change and that is ‘the how’. I explain why it’s the biggest challenge and how to overcome it with a breeze. It’s easier than you might think. The only person that can make the change is you. When you start changing your thoughts, you start changing your beliefs, and then you change your actions. And when you change your actions, that’s when you start seeing both personal and professional growth. Suddenly you’re getting more patients and keeping your schedule full. So watch the video and give yourself permission to change.